This rare turnkey, Crescent home in the heart of Cameron Station boasts spacious living, luxury finishes, and beautiful gazebo circle views. Upon entering this lovely home prominently featured on the "circle", visitors are warmly welcomed into the foyer with an adjoining office, powder room, and entry to the 2-car garage. The main level features hardwood floors and a centrally located kitchen with granite countertops, ceramic backsplash, breakfast bar, and double ovens. Adjoining the kitchen is a large living room with lots of natural light and park views. The familyroom seamlessly opens to the dining room and offers a gas fireplace and balcony well suited for grilling. Upstairs are a master suite, second bedroom and bathroom, and laundry facilities. On the top level are the third bedroom, third bathroom, and a loft space with cathedral ceilings. The relaxing master suite offers closets (one is a walk-in), and a four-piece dual-vanity bathroom. Residents love Cameron Station for its fabulous recreational facilities, including a fitness center, yoga room, outdoor pool, party room, playgrounds, tennis courts and proximity to Ben Brenman Park. This particular home is only a few hundred yards from a coffee shop, salon, preschool, as well as other dining and commercial services. Commuters will love the home's proximity to Reagan National Airport, Washington DC, and National Harbor (all only 10 miles away) and the free rush hour shuttle service to Van Dorn Metro Station. Directions:From Duke Street, turn onto Cameron Station Boulevard. House is on the circle on the right in the first cluster of crescent homes. Park on Cameron Station Boulevard or Brenman Park Drive. SchoolsClick map icons below to view information for schools near 177 Cameron Station Blvd Alexandria, VA 22304. Home for sale at 177 Cameron Station Blvd Alexandria, VA 22304. Description: The home at 177 Cameron Station Blvd Alexandria, VA 22304 with the MLS Number VAAX209426 is currently listed at $742,000 and has been on the Alexandria market for 79 days. 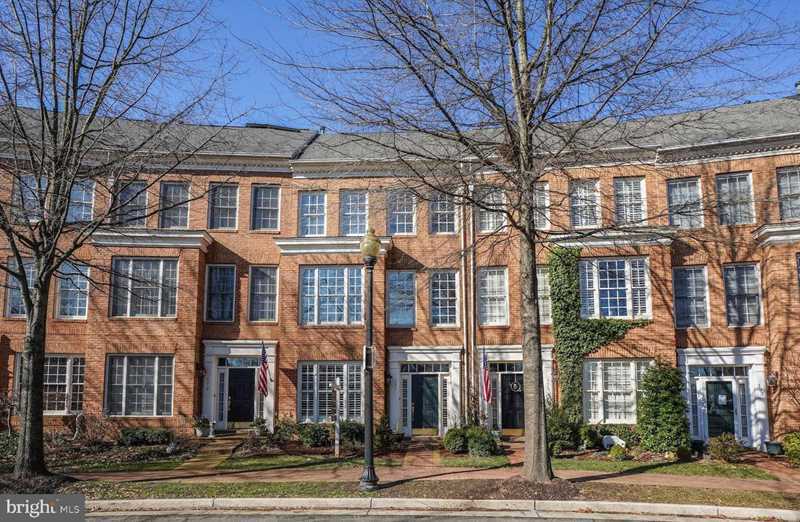 You are viewing the MLS property details of the home for sale at 177 Cameron Station Blvd Alexandria, VA 22304, which is located in the Cameron Station subdivision, includes 3 bedrooms and 4 bathrooms, and has approximately 2651 sq.ft. of living area.